Elastic Email » Blog » Do You Send New Buyers These 7 Post-Sale Emails? If you’re an e-commerce merchant, then you probably understand that turning new buyers into returning customers means more profit for your business. It also means that you get more traffic at lower costs while promoting your business almost at any time you want. Do you have an active email marketing system on your e-commerce website? Almost everyone does, but the major challenge is writing those cracking post-sale emails that turns new buyers into returning customers. If you’re at this crossroad, then this post is for you. Here are seven post-sale emails you should be sending to new buyers. Thank you messages are already a typical feature of both online and offline marketing channels, but having an email marketing system means you can take it to a whole new level. Rather than send the usual confirmation or transactional email, a personal touch may be what you need to convince new buyers that you appreciate their patronage. And what happens when they feel appreciated? They are more likely to come back. Now, although it is not abnormal to automate Thank You emails, keep in mind that a personal appeal is essential if you are to accomplish your goal of building a good relationship with the new buyer. Only Texts — Thank you so much <username> for completing your first purchase on our website. We hope you’re satisfied with the order and look forward to meeting your other needs. Texts and Gif — The above message could be attached to a “Thank You” Gif. Thank-you emails boast a high open rate, and you should enjoy some success if you get it right. As soon as a new buy places an order on your website, one of the first things they want to know is when it will arrive on their doorstep or when they can get access to the service they purchased. For this reason, shipping and tracking emails also get high open rates. You could also go one step further by sending an email a few days after delivery to confirm whether the new buyer is satisfied with their purchase or not. Extra Tip — You could add a “similar products” or “frequently bought together” section to your follow-up email to get more sales. Most times, new buyers make a purchase either based on someone else’s recommendation or because your landing page was well optimized to convert visitors. These sets of people may not even know how to use your product and as such need extra help. Well, the good news is that offering that extra help to new buyers could turn them into loyal customers, so you have nothing to lose when you send them a guide on how to get the most out of their purchase. As mentioned earlier, offering this extensive support allows the new buyer to connect with your business on a personal level, thus, making it more likely that they order from your site next time. Aside from those who need assistance on how to get the best out of your products, there are some that need to a reminder to recall that they even purchased an item from you. Well, a busy schedule and many preoccupations leave some new buyers with little or no time to test their delivery, especially if it is a digital product. Hello <buyer name> we just wanted to check in with you about the <name of product or service> that you ordered a few days ago. Other customers are already giving excellent feedback, and we want to know your thoughts about it. From the sample above, you will notice that it is necessary to use a respectful and friendly tone for your reminder emails. The reason is so that the new buyer does not feel embarrassed about forgetting to use your product. Quick Survey Emails are just an extended version of reminder emails. However, the difference is that QSE’s are sent after the passage of a long period and assumes that the new buyer has used the product or service. On a scale of 1-10 ranging from Bad to Excellent, the buyer is asked to rate the level of satisfaction they derived from their purchase. In the case where the buyer gives a rating between 9-10, you could follow them up in a new email campaign, encouraging them to sign up as affiliates with your e-commerce website. What’s the purpose of collecting email from new buyers if you don’t send them promotional emails? Create a separate email campaign to let new buyers know about similar products, new stock, giveaways and special events around your business. However, it is vital to remember that sending too many promotional emails could trigger new buyers to unsubscribe from your list. Keep it moderate, and if possible, always hire an expert email copywriter for your promotional campaigns. When new buyers do not engage with your brand for a long time after their first purchase, “We Miss You” emails could be a great way to draw their attention back. Do not forget that since they are new buyers, there’s a chance they have forgotten about your website or visited a competitor’s. When planning your “We Miss You” email campaign, you could also extend it to old customers who suddenly stopped engaging with your brand. When your post-sales emails are excellently written and with new buyers in mind, the results are truly advantageous. There is a possibility of turning these first-time visitors into long-term fans, and you don’t want to miss out on that. The seven ideas outlined in this article are just enough to help you get started and in little or no time, the results will start rolling in! Ronak Meghani is a serial entrepreneur who has worked with small-medium-large companies. He has 8+ Years of expertise and has worked closely with eCommerce ventures since 2009. 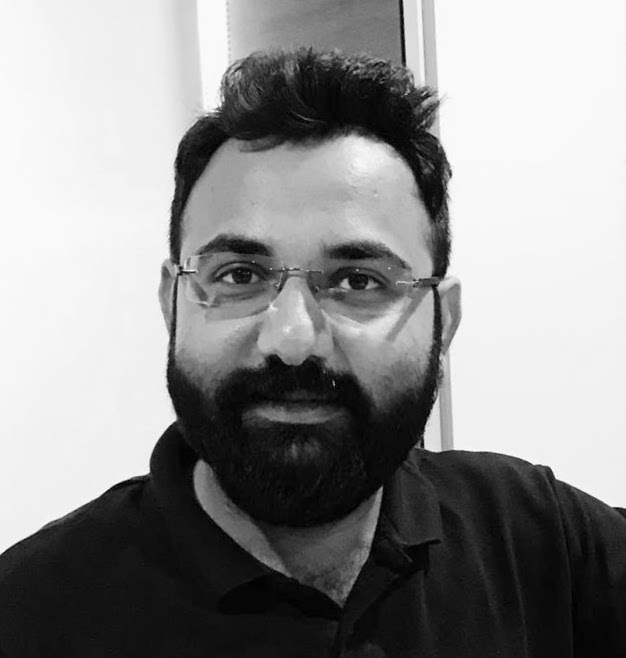 He is a Co-Founder of Magneto IT Solutions, a full-service eCommerce Development in the USA, India, and Bahrain. He’s enthusiastic about fitness, start-ups, entrepreneurship, and all things marketing. Previous Previous post: A great Unsubscribe option – why is this good for business? Next Next post: How To Get New Subscribers for My Newsletter?